Taking control of your nutrition means cooking more than you were before. Sorry to burst your bubble if you thought differently! 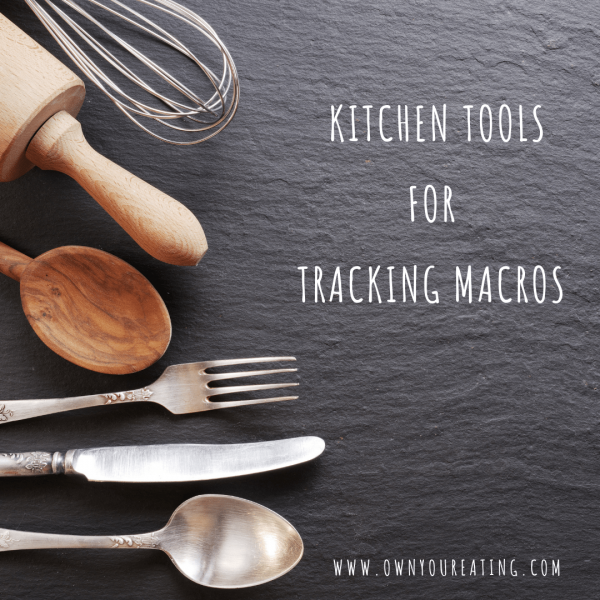 Whether you love spending time in the kitchen or it feels like a necessary evil, we know that having the right tools to hand can help minimize the time spent on less enjoyable tasks. Some of these might seem like a bit of a splurge, but trust us, they’re worth it! It doesn’t matter how old you are, if your food has an interesting shape, you are immediately more attracted to it. Think about all the popular foods out there like animal crackers, spaghetti letters and spiral fries. All these foods are instantaneously more tasty than their normal shaped counterparts because they just look more appealing. The shape of food can also effect the appearance of food volume and improve its texture, making your brain even happier to be eating veggies! Spiralizing your veggies is a great strategy for getting the entire household to eat more whole foods. We use a spiralizer that comes with several different attachments so we can have a variety of different types of noodles from thick to thin and even ribbons! A food processor is an awesome gadget for getting through food prep in a flash. Food processors can turn veggies into rice, finely chop or slice and even shred/grate vegetables in the blink of an eye! They’re also great for frozen desserts like acai bowls or protein ice cream. We love our KitchenAid food processor but if you want to save on cupboard space then a processor with 3 cup capacity works for smaller households. Slow cookers are AMAZING! They’re an all-in-one cooker that steam and sauté literally anything! We use ours all the time for cooking protein in bulk. All you need to do is throw in 4 or 5 chicken breasts with some simple seasoning mix and you’ll have deliciously tender, shredded chicken that you can easily add to any meal all week long. They’re great for making large family meals like chili, soups and stews too. A pan dam is a silicone dam that slides easily into your non-stick pan or baking tray allowing you to easily cook different items in the same pan at the same time. Genius! You can pick one up from Amazon for about $20. Check it out here. Using a food scale will improve your accuracy but, when it’s not always practical, having cups and spoons to hand is definitely a must. Spoons are great for measuring oils, toppings, marinades and sauces. Cups are great for chopped fruits, veggies and cooked rice. You don’t need anything fancy, this set from Amazon is cheap and effective! An oil dispenser makes measuring a breeze when it comes to cooking. Fat is the most calorically dense macronutrient providing 9 calories per gram. It can be hard for us to appreciate that liquid still provides calories, but don’t be fooled into thinking that oils are healthy and don’t need to be tracked. It is EXTREMELY easy to consume a lot more fat (and therefore calories) than you need by way of oils. Make sure you remain diligent in your tracking of oils and don’t forget to use a non-stick zero calorie spray from time to time for sautéing vegetables or meat. Last but most definitely not least, you should already have your stay-at-home food scale that you use day-in and day out. We like the Ozeri multi-function food scale but honestly, any digital scale with the ability to switch easily to different units and tare will serve you well. If you want something a little larger so you can easily read what’s on the scale while measuring a big plate of food, then check out Etekcity. Hitting the road? Don’t use it as an excuse not to be able to weigh your food. Check out this super light-weight travel scale that’s easy to use in your hotel room or literally anywhere! What are some of your favorite kitchen tools? Let us know if we missed some essentials that help you keep your nutrition on point!